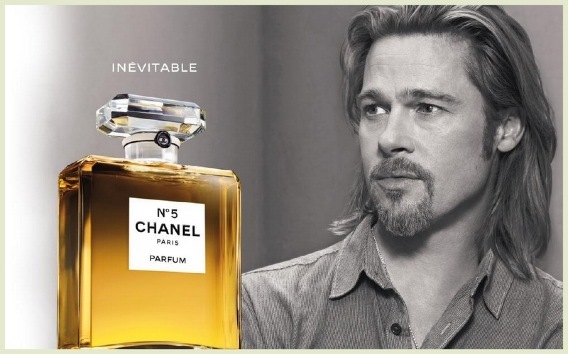 It appears Chanel acknowledged my grievances yesterday about their new Chanel No 5 advert starring Brad Pitt and have acted quickly... but perhaps too quickly methinks? I think that this new commercial seems like a rushed, emergency response to yesterday's negative feedback. 'Part 2' (more like 'Take 2'') appears to me like some footage of beautiful women has been hurriedly thrown together in an attempt to cover up some of Brad's bizarre monologue... This is all disappointingly un-Chanel. I think rather than rushing out this ineffective second attempt, I would have preferred for them to have unapologetically stood by their initial advert and accused me, in French please, of being the most 'orrrrrible of philistines for not understanding their higher level of perfume rhetoric. Above: Conan O'Brien also decided to re-work the original advert. I think this is clear evidence why super Hollywood A-listers tend to record adverts in countries we do not readily have access to view them. Thank Heavens for YouTube... and Nicholas Cage.